After reviewing all of the provided PPT slides, it took me an hour to create this wireframe example. Since UNLV is was mentioned, I utilized the color scheme from their website, and also used a (unsanctioned) photo from OSHA as the image for my Master slide. Thanks for sharing another example - I suspect this is connected to an ELH challenge such as the other one you posted earlier? As David mentioned you'll want to include it in the challenge so that others can find it and provide feedback and comments. I also let David know you shared it here! Hey Karen - sharing here is a good idea because you can better engage other users for feedback on your projects. 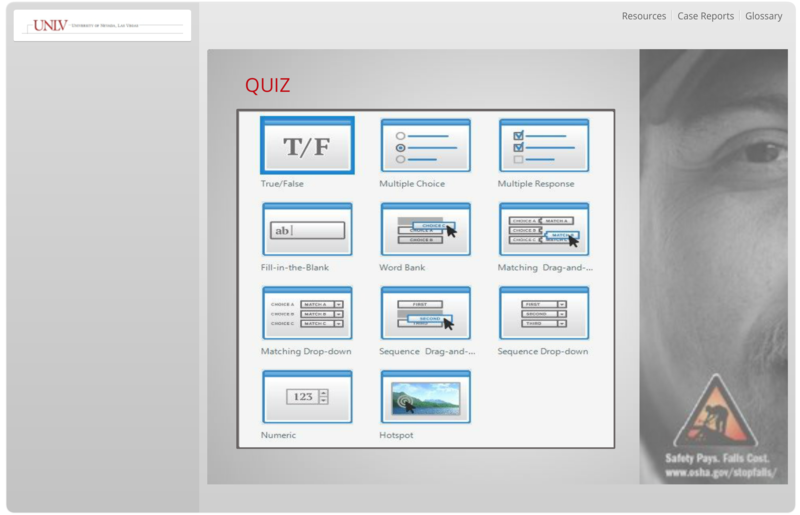 Cool idea to include the quiz slides screen in your layout choices. I'll update the recap to include your wireframe entry!